The band’s 2014 album Beholden to Nothing, Braver Since Then was an album that I not only enjoyed when it came out, but is one that has definitely grown on me over time. The more I listen to it, the more I like it. Considering Beholden to Nothing, Braver Since Then contained a whopping 15 songs, coming in with a total duration of 76 minutes, Can’t Be Seen by Looking: Blurring the Lines, Clouding the Truth only has six tracks, but still clocks in at a respectable 54 minutes. Book-ended by two nearly 13-minutes monsters, the band’s new album is equally ambitious and impressive in many ways, and I suspect it will also grow to become one of my firm favourites. Leviathan have a knack for writing music that has a certain enjoyable instant appeal, but really worms its way into your head and unveils its full charms over time. This is a largely different band on this latest album, however. With some new band members, including a new vocalist, this a reinvigorated/reinvented band in some ways, while still retaining the core of what makes their music so enjoyable due to the controlling hand of their long-serving guitarist/keyboardist/vocalist John Lutzow. The musical expertise of the band members is wonderfully apparent, and everything is played not only with skill and panache, but also passion and feeling. Here’s a band that definitely know what they’re doing. The new singer has a very capable voice, and there’s no issues here. He manages to keep the feel of the vocals consistent with the band’s previous work, while still displaying his own character and presence. His is a very good performance all-round, with good range and power demonstrated where necessary. I always get a bit nervous when bands I like change singers, but it turns out this was nothing to be concerned about in this instance. Despite the new band members this music is instantly recognisable as Leviathan. It has all of the trademark elements that made Beholden to Nothing, Braver Since Then so enjoyable, but has shed some of the bloat. The band have focused on the songs and refined their music into six effective and satisfying tracks. They have succeeded in accomplishing this without sacrificing intricacy, complexity, or, (in some cases), length. This is still ambitious progressive metal, after all, regardless of how focused and refined the band’s songwriting has become. I’m very pleased with this new album, and can’t wait to explore it even further over time. Can’t Be Seen by Looking: Blurring the Lines, Clouding the Truth is a more than worthy follow up to its predecessor, and actually eclipses it in many ways. 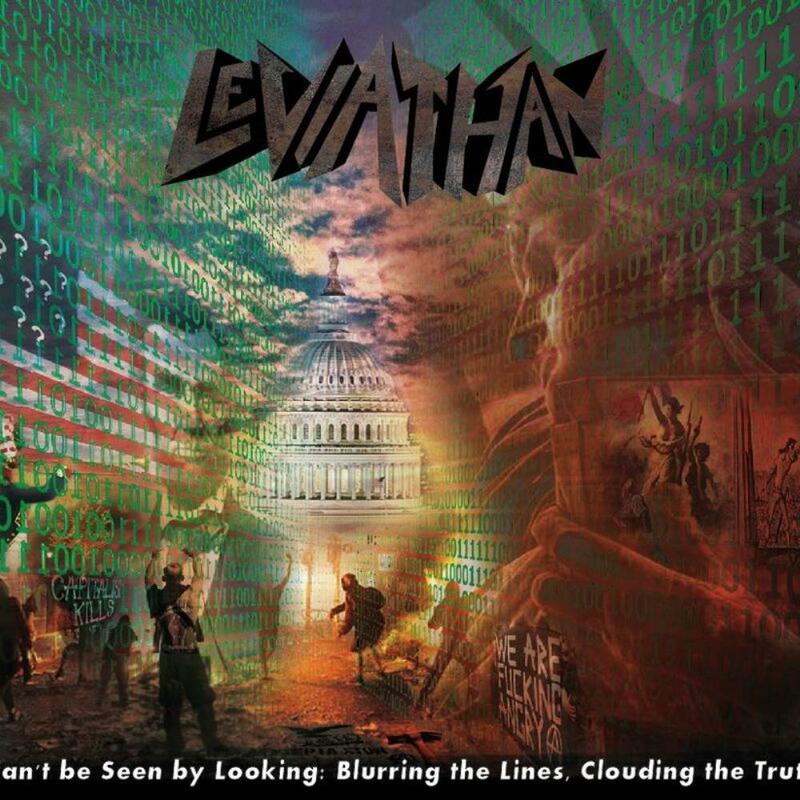 This entry was posted in Metal and tagged Leviathan, Metal, Progressive metal. Bookmark the permalink.